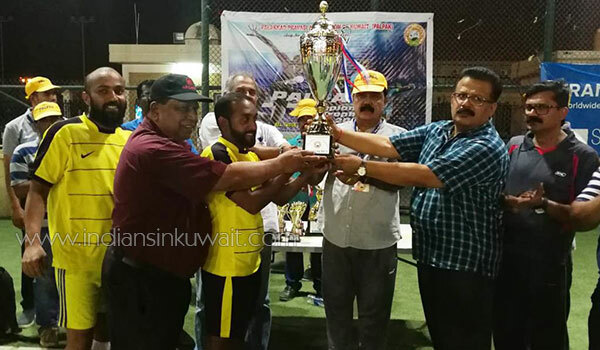 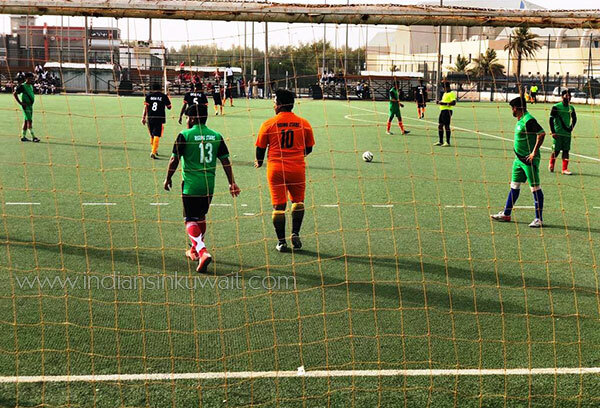 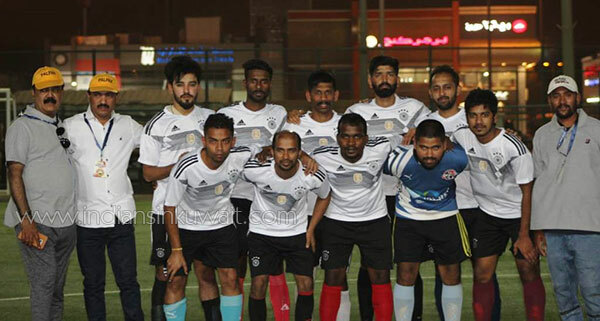 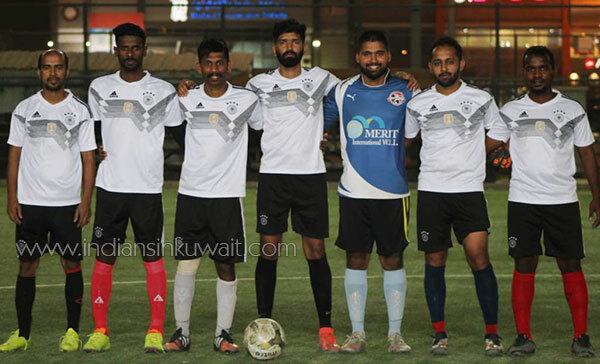 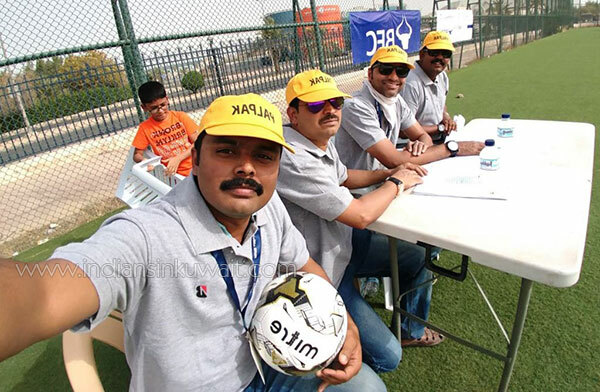 All India Seven’s football tournament (PALPAK CHAMPIONS TROPHY – 2018) conducted by Palakkkad Pravasi Association of Kuwait (PALPAK) became an eccentric one among the football lovers of Kuwait at Mishref ground on Friday, 22/7/2018. 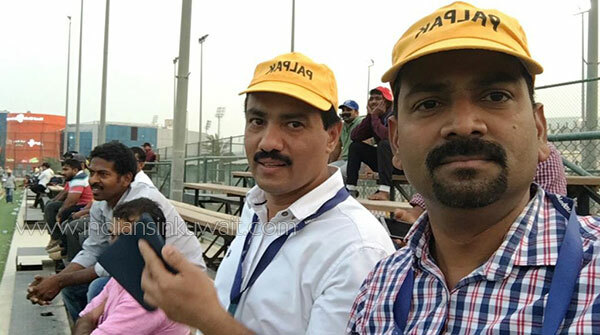 Each and every match was very interesting and the viewers enjoyed those even in the hot weather. 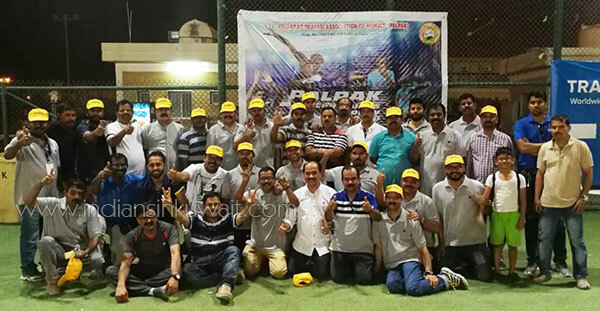 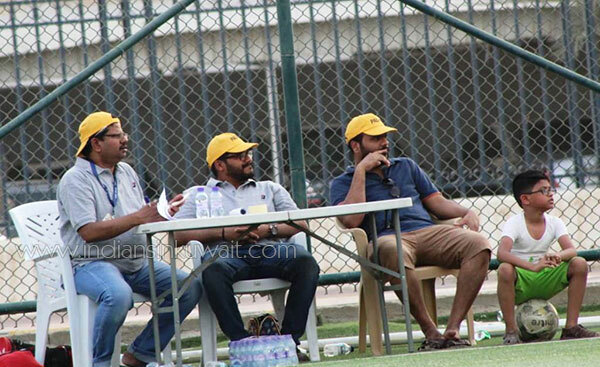 Total 18 teams participated in the tournament including host (PALPAK) team. 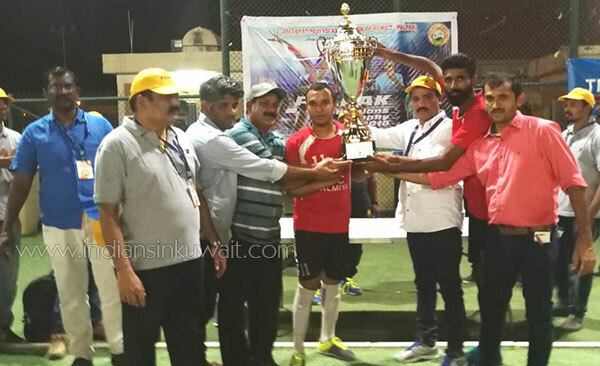 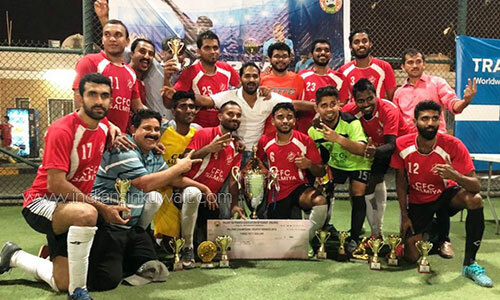 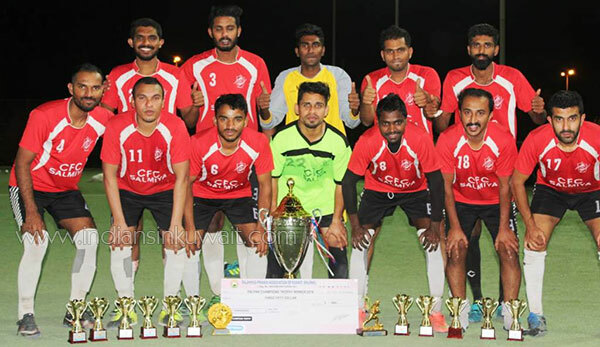 CFC Salmiya and United Goan Center entered into final and CFC Salmiya was declared as the winners of the Trophy through a draw as the match was drawn even after the fixed time for play and penalty shootout was over. 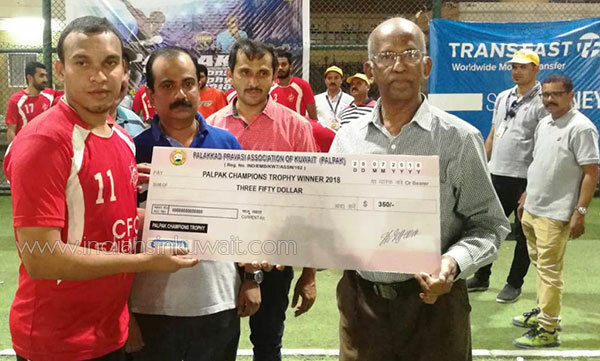 Earlier the tournament was inaugurated by PALPAK President Suresh Madavan. 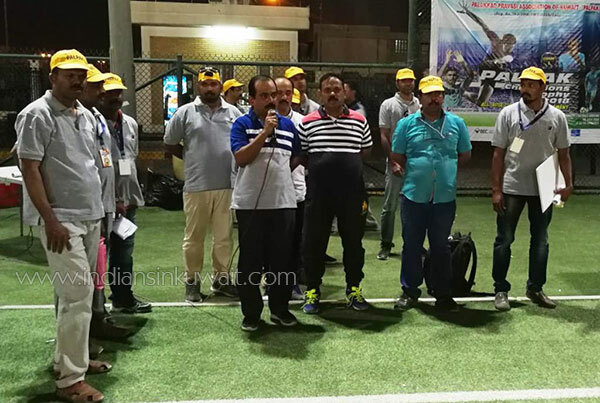 The players were greeted on ground by PALPAK officials including Patron P.N.Kumar Supreme Council members Krishna Kumar, Jayaprakash, Mohan and other office bearers including Gen. Secretary Premraj Vice President Venu Kumar, Tournament Committee members Madhu Nambiar , Babu Prasad and Ramesh Kapadath. 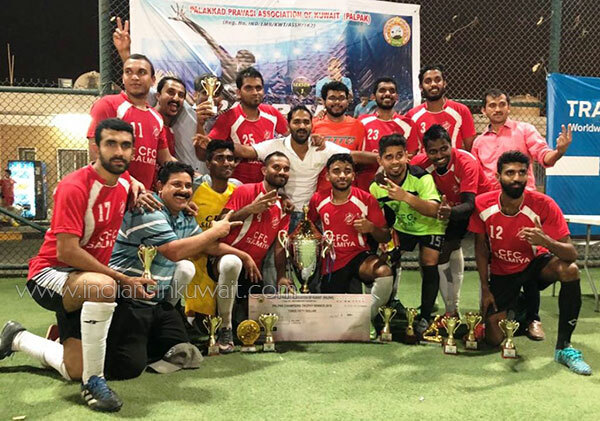 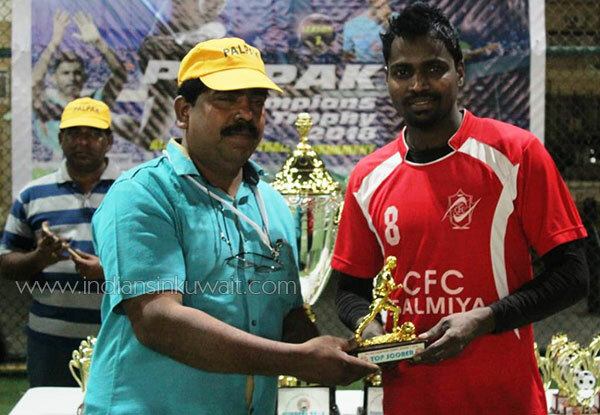 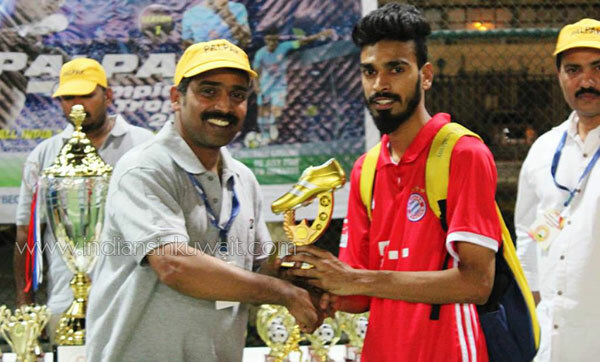 The trophies, cash money and other prizes to winners and players were distributed by Suresh Madavan, Premraj, P. N. Kumar, Prabadker, Rajesh Nair, Babu Philip, Jayan Nambiar, Rajendran, Sunil Kumar, Noushad, Sakeer Hussain, Salam Pattambi and Jiju Mathew. 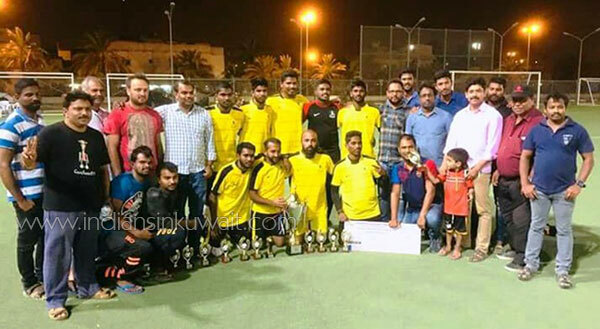 Apart from the trophy for the winning team, trophy for the runner up team and medals were presented to all the players of finalist teams. 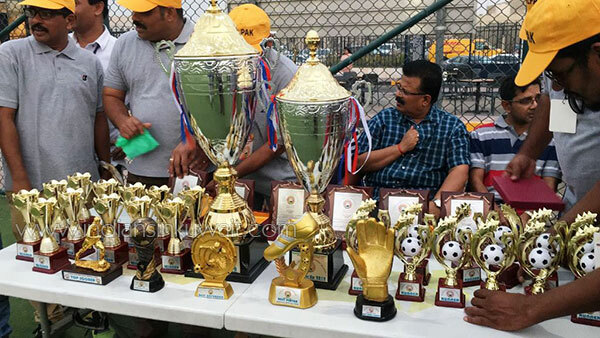 Also individual trophies were distributed to the top scorer, best player, best goal keeper, best defender and best emerging player. 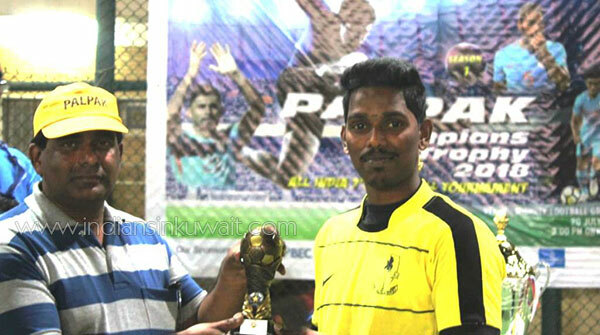 The tournament committee convenor Madhu Nambiar rendered vote of thanks to all at the end of the event.